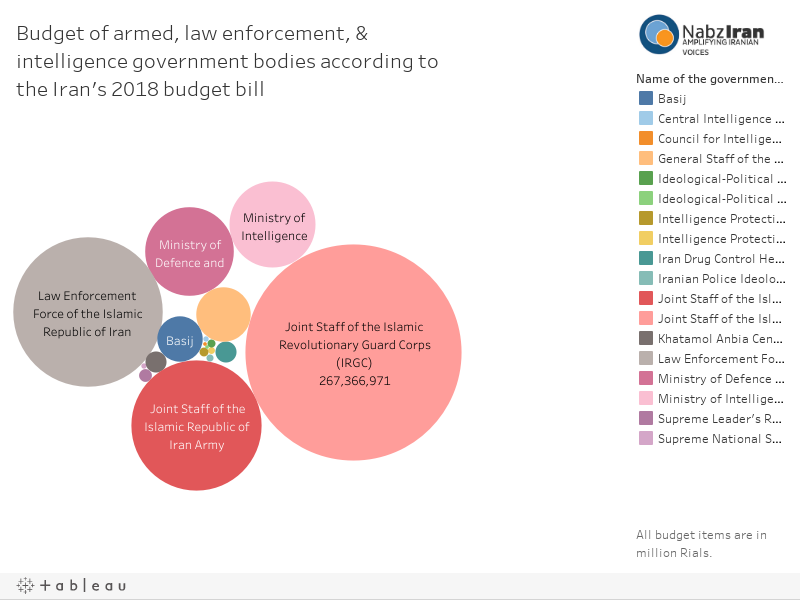 How budget has been divided between armed, law enforcement and intelligence bodies of the Iranian government at the new 2018 budget bill? Below, interactive infographics provides the answer. The budget amounts of in million Rials. There are rivaling armed, law enforcement and intelligence bodies in the Iranian government, with parallel organizations. None of these powerful and important government bodies are responsible to the elected part of the regime, meaning that they are neither responsible to the administration nor to the parliament. Still, they consume big bunches of the national budget. While for example, based on the constitution the Iranian army is responsible for defending the boarders of the country, it's budget seems to be almost one third of the IRGC and even less than the budget of police. For deeper look at the 2018 budget bill, you can refer to this link (n Farsi). How Can Evidence Bolster Citizen Action?